Today at the TechCrunch Hardware Battlefield at CES, H2 debuted its Health2Sync technology, a combination of hardware and software aimed at helping diabetics better manage their glucose levels by providing them with a digital solution to a manual problem. Tracking one’s glucose levels is tedious, and normally done in an analog manner. Scrawling glucose readings into a small physical booklet isn’t very useful, as interpreting the data is all but impossible. And, given that it’s easy to forget and annoying to do, people who need to track their blood sugar often don’t do it enough. The result is a tool that allows a user to sync their glucose readings quickly, and at once to their iOS device, removing the need for titchy hand input and the like. Naturally, Health2Sync’s cable needs to speak to something, which is where its software component comes into play. The client software for Health2Sync allows users to tag their various readings with general, but useful categories: When you took the reading (i.e., before or after a meal), what you ate, did you exercise and so forth. Users can also set low and high bands for their blood sugar levels. Data from their various categorial readings (again, before a meal, after, etc.) are then plotted for them over time, showing how often they meet, exceed, or come under their desired blood sugar range. 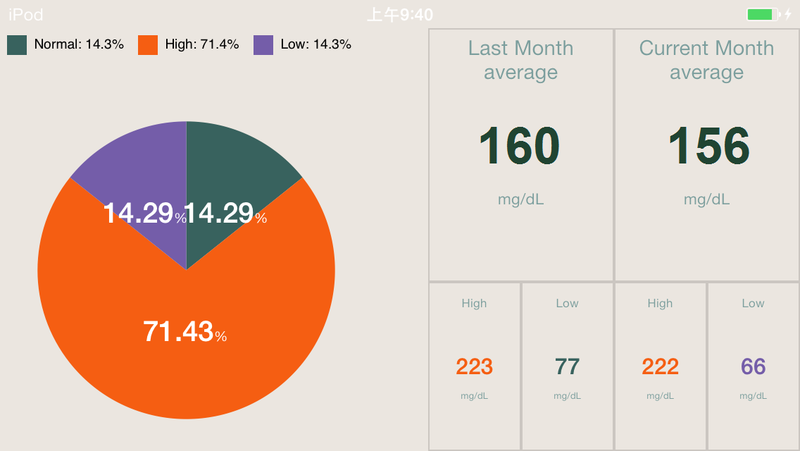 The result is that individuals with diabetes can use their current glucometer in the manner they always have, and with a daily Health2Sync data transference can quickly draw a picture of their blood sugar over time that they can better understand, and, if they have permissions set up, share with loved ones and caregivers. Health2Sync debuts today. The company, which has raised $300,000 to date and is in the process of raising a Series A round of cash, has an Indiegogo campaign up and running to finance the capital costs of its first set of devices. The Health2Sync cable will retail for no more than $35, making it affordable. According to the company, between 8- and 15% of the population suffers from diabetes, meaning there’s a big market for a product like this. All told, as the global population continues to live longer, we’re going to deal with rising health issues that come with aging. Technologies like Health2Sync could help bring analog health tracking tools online, making them more transparent. The question for the company now becomes how it reaches its end users. If its Indiegogo campaign goes well, that will be an indication of market interest. It’s go time for the company.